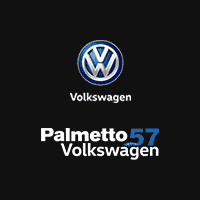 At Palmetto57 Volkswagen, we value our involvement in the Miami, Florida, community. That’s why we strive to provide every customer with the excellence and commitment you’ve come to expect from us. Since we’ve opened our doors, we’ve continued to earn our customers’ trust with our wide selection of high-quality cars and first-rate service. From the classic VW Beetle to the luxury Touareg, we provide a variety of new and used Volkswagen for sale. And our staff has continued to strive for excellence in everything they do. From choosing the right car for your lifestyle to picking the right payment option for your budget, we’re here to guide you through a stress-free car buying experience. Let our finance experts build a personalized lease or purchase plan. Our commitment to you doesn’t end when you drive off our lot. Our on-site service center can handle everything from routine maintenance to collision repairs. Trust. Excellence. Commitment. That’s the Palmetto57 Volkswagen way — and our promise to you. To enjoy a whole new automotive experience, contact us online, call us at (844) 714-3891, or visit us at 16825 N.W. 57th Avenue in Miami, Florida. We proudly serve Hialeah and Miramar, FL.